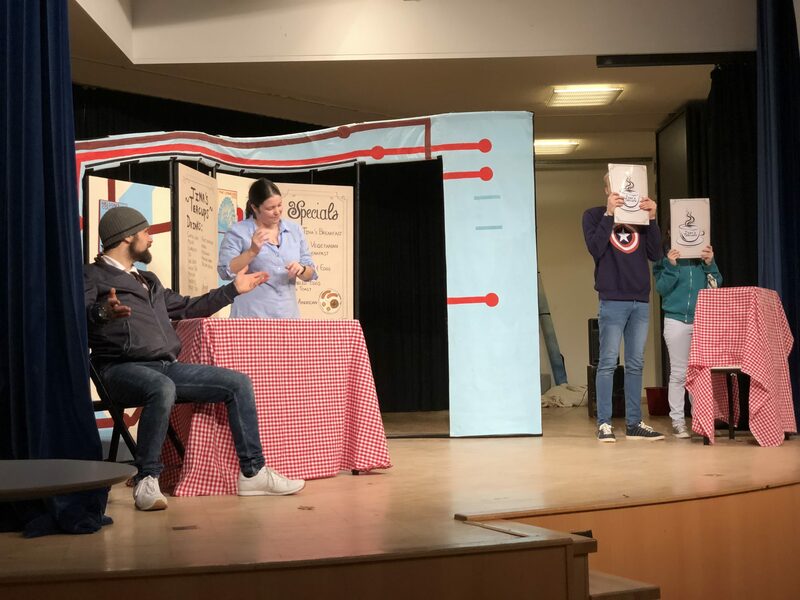 On Tuesday, 20 November 2018 our school hosted the White Horse Theatre, a professional theatre company which performs educational plays in English. The company’s motto is „Learn English through Theatre“. 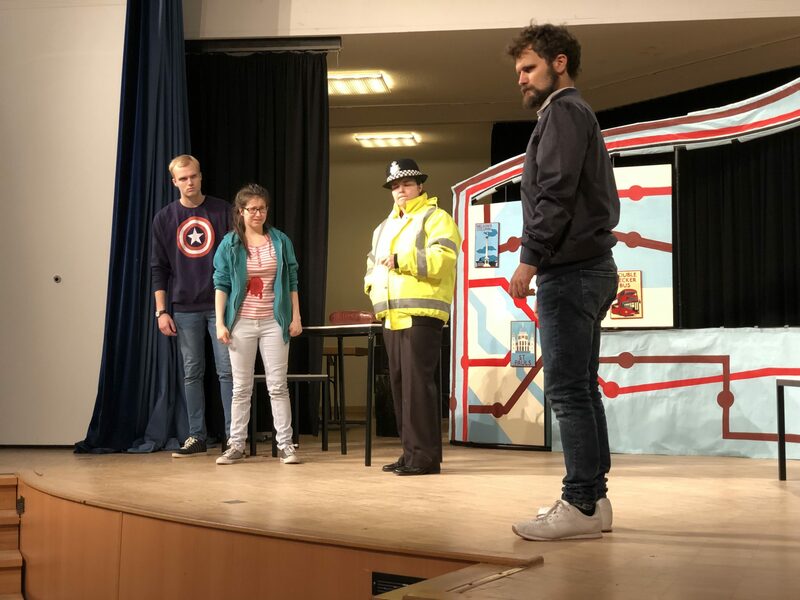 Year 6 had a great time watching „Honesty“, a play about two teenagers who had seen a robbery and got involved in an exciting chase through the streets of London. Year 7 and 8 saw „The Tyrant’s Kiss“ which is a new contemporary version of Shakespeare’s play Pericles and is about a man’s dangerous journey across the Mediterranean Sea.